Though it looks as if Amazon is still figuring out how to proceed, its reported plans suggest the first Amazon Go convenience stores are doing quite well. Amazon.com (AMZN - Get Report) clearly likes what it's seeing from its first cashier-free stores. On Wednesday afternoon, Bloomberg reported that Jeff Bezos's company is thinking about having around 10 Amazon Go convenience stores in operation by year's end, and 50 in 2019. Notably, the news service adds adds that Amazon is mulling plans to have "as many as 3,000" Go stores by 2021. Go stores use cameras, sensors and algorithms to let users who gain access to the store with a mobile app buy items without standing in a checkout line (they're instantly billed upon leaving the store). Bloomberg's report arrives just eight months after the first Go store opened near Amazon's Seattle headquarters. Since then, the company has launched two more Seattle Go stores, along with a Chicago location. It also has plans to launch Go stores in New York City and San Francisco. Here are some quick thoughts on the report, and on where Amazon Go could head from here. Bloomberg states Amazon is "still experimenting" to figure out whether the best format for a Go store is a convenience store that sells both grocery items and fresh prepared foods, or "a place to simply pick up a quick bite to eat for people in a rush." It notes that the latter strategy would be cheaper to implement, and would also allow Amazon to focus on a relatively high-margin set of goods. Moreover, the fact that Bloomberg said Amazon is thinking of launching as many as 3,000 Go stores by 2021 shouldn't be overlooked. In terms of logistics, hiring and buying or renting the needed real estate, scaling from just 50 stores to 3,000 in a couple of years would be no mean feat even for a company with Amazon's resources. When Amazon first unveiled its Go store concept in late 2016, plenty of questions were raised about how effective Go's instant-checkout technology would be. And the fact that 2017 saw Amazon push back the launch of the first Go store as it worked out bugs only added to the concerns. However, judging by both Yelp reviews and anecdotal customer accounts, the first Go stores seem to be functioning pretty well. 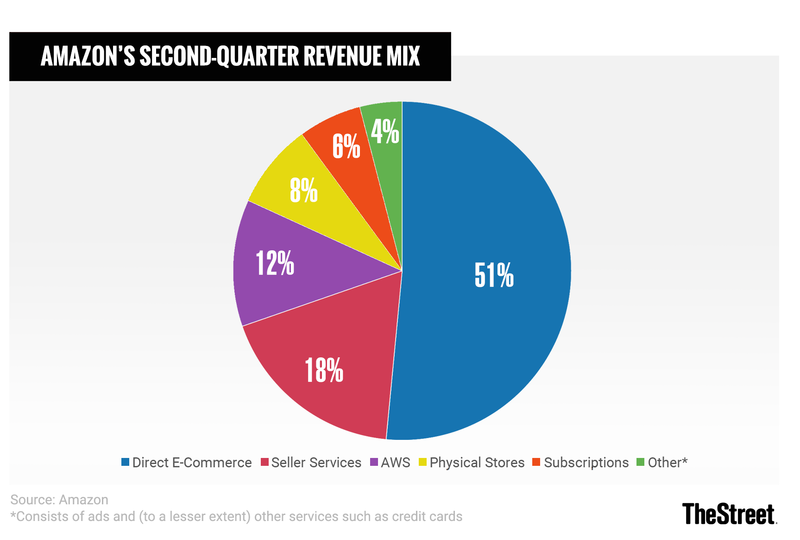 And certainly, Amazon wouldn't be mulling a giant expansion of its Go footprint unless it was pleased with how its first Go stores are performing, and what kind of customer experience they're delivering. No one would confuse a Go store's product selection with that of a 7-Eleven. In addition to fresh foods, the stores sell things like wine, organic produce and items from Whole Foods's 365 Everyday Value line. And Bloomberg's report, which suggests the more limited Go store concept that Amazon is experimenting with would compete against chains such as Pret A Manger, suggests Go won't be wavering from its focus on relatively well-to-do customers as it expands. That's not too surprising of a strategic direction for a company that last year bought a supermarket chain that's still sometimes referred to as Whole Paycheck. In spite of recent efforts to win over lower-income consumers, Amazon Prime's U.S. user base still skews heavily towards more affluent households, and such households are also more likely to be early adopters of new technologies. Moreover, since there are an estimated 155,000 convenience stores in America today, focusing on fresh foods and "premium" grocery items gives Amazon more room to differentiate. That said, Amazon's Instant Pickup service, which launched on a handful of college campuses in 2017, could give it a way to go after traditional convenience stores and their traditionally high markups. Bloomberg notes the first Go store required over $1 million worth of hardware investments alone. For his part, Morgan Stanley's Brian Nowak estimates that building 3,000 Go stores would cost anywhere from $500 million to $3 billion, while adding his firm "would not be surprised to see the cost toward the higher end of this range." At the same time, there's no indication within Bloomberg's report that Amazon is thinking of acquiring a convenience store chain to bring Go to more locations. Possible reasons for avoiding the M&A route include the challenges of retrofitting an existing convenience store to support Go (as opposed to building a store from the ground up), and the risk of disrupting sales to consumers who haven't downloaded the Go app. A footprint of 3,000 Go stores would be roughly six times Whole Foods' current store count. Should Amazon launch that many stores or come close to doing so, it opens up a lot of use cases outside of grocery and fresh-food sales. For example, Amazon could use its Go stores to build pickup and return lockers for online orders, and to market and sell its electronics hardware. And in the wake of its purchase of online pharmacy PillPack, Amazon could conceivably set up bricks-and-mortar pharmacies (staffed with human pharmacists, of course) within some of the stores.